Synopsis Published in 1868, this is the second oldest book in my collection. 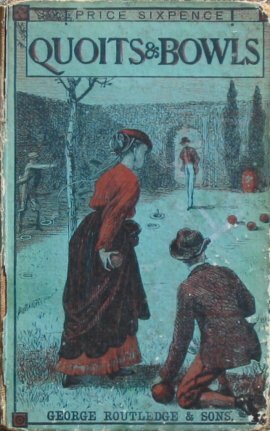 To my knowledge, the only book written exclusively on bowls that predates it is Mitchell's Manual of Bowl Playing published four years earlier. *Sidney Daryl was the pen name of Douglas Straight, an English lawyer, Member of Parliament, judge and journalist. He received a knighthood in 1892.